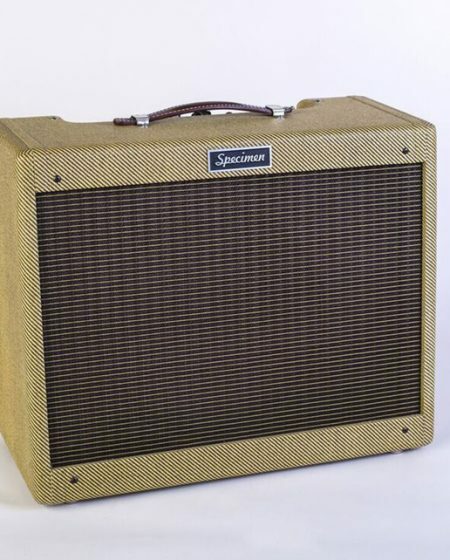 The 1950’s Tweed Tube Amps represent a pinnacle of industrial design in America. They were designed during a time when the concept of planned obsolescence had not yet become commonplace. Serviceability and reliability was of paramount importance. 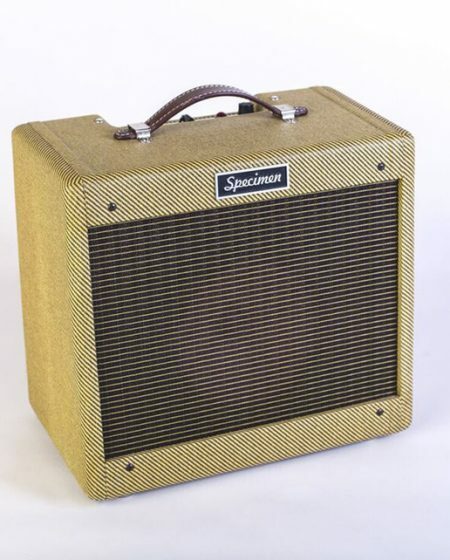 Specimen Tweed Amps are built just like the originals. They utilize vulcanized fiberboard motherboards for superior structural fortitude. They will never need to be replaced and are very easily serviced in the event of trouble. These amps have bite, warmth and sensitivity. They respond to the player’s touch in a way that is almost animate. There are no bells or whistles to interfere with the direct flow of the signal or degrade the tone. There is clarity and headroom at reasonable volume levels. 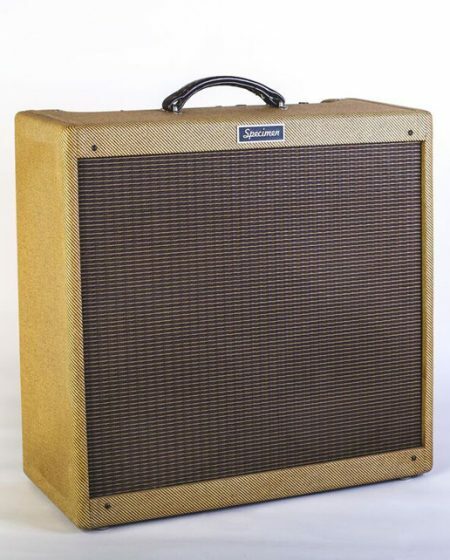 When pushed a little harder these amps slide into a beautiful distortion that is instantly recognizable. The different models can provide whatever amount of headroom is appropriate for the desired musical style. All of these units are lifetime amplifiers.